Despite the damage faced by users, ice remains one of the most popular illicit drugs in Sydney. Being able to spot the signs of ice addiction is crucially important. Read on to find out how to determine when someone you know needs help. Ice’s rapid rise as Australia’s most popular illicit drug has had a devastating toll on communities across the country, with many addicts requiring professional ice addiction treatment. Chronic ice users face significant risks to their physical and mental health, as well as consequences in their personal and professional lives. Aside from the possibility of an overdose, serious and potentially fatal problems like heart disease, stroke, mood and anxiety disorders, psychosis, and violence regularly accompany ice dependency. Being able to identify signs of chronic ice use is a critical first step in helping someone with a dependency towards recovery. The potency of ice and the severity of its impacts often leave visible effects on the bodies, behaviours and moods of users. Ice can have a drastic and devastating impact on a user’s physical appearance, an unfortunate reflection of the damage also being done to major organs. Skin: This powerful stimulant can keep users awake for days and often seriously dehydrates the individual, which causes people to look older than they are. Ice damages the heart muscle and arteries, and constricts blood vessels, which causes circulatory problems leading to dry, scaly skin. Additionally, toxins from ice are typically sweated out through the pores, which can cause acne and sores. 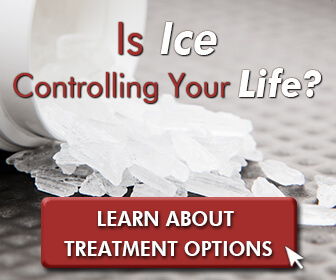 Shape: Ice is an appetite suppressant, and pronounced weight loss can occur with chronic use. Teeth: Ice use often results in continuous grinding and clenching of the teeth, which can play a role in the development of ‘meth mouth’. Meth mouth is a combined effect of poor hygiene and eating habits during ice dependency, dry mouth, and the acidic properties of methamphetamines. Meth mouth is characterised by stained, blackened teeth, rotting teeth and even crumbling or missing teeth. Eyes: Like many drugs, methamphetamine use will dilate the pupils, which can last more than a full day after use. Ice use can also cause a repetitive twitch in the eye, which can occur up to several times a minute. People looking to hide their drug use may wear sunglasses at odd times to cover up these signs. Smell: Since ice is highly toxic and escapes the body partially through sweat, it can cause a pungent body odour some describe as similar to cat urine. Ice causes not only a physical but a psychological addiction, which can manifest in some unusual behaviours. Laser Focus and Repetitive Actions: Intense, uninterrupted concentration on meaningless or highly repetitive tasks can signal that someone is under the influence of methamphetamine. For example, users may obsessively clean their homes, take something apart and put it back together, exercise excessively or engage in random, compulsive movements. Ice can also trigger a tactile hallucination of something crawling on the skin, which can lead users to obsessively scratch or pick at their skin, to the point of creating open sores. Paranoia and Violence: Prolonged ice use causes major changes in the brain’s chemistry and responses, which can result in nervousness, paranoia, hallucinations and even outbursts of violence. These alterations in a person’s normal behaviour could indicate a methamphetamine dependency. Marked Shifts in Behavioural Patterns: The high from ice manifests completely differently than the comedown, and chronic users will usually swing between two separate sets of behaviours. People may go from being active and energetic to exhausted and depressed. Additionally, after not eating or sleeping during the high, they may binge on junk food when coming down and sleep for extended periods. Methamphetamine causes a rush of dopamine and noradrenaline, two neurotransmitters that are responsible for feelings of pleasure, alertness and energy. The overload of these neurotransmitters into the brain cause feelings of invincibility and euphoria during ice’s high, but then leave the brain seriously depleted, which can cause a variety of negative impacts on mood. Chronic depression: Chronic meth use results in lower levels of dopamine being produced in the brain, which contributes to a persistent ‘flat’ or depressed feeling that can even result in suicidal thoughts. Chronic apathy: The brain changes that accompany chronic meth use often make it difficult for users to concentrate and negatively impact motivation. Severe mood swings: People high on ice may be euphoric, excited and highly energetic, but tend to experience deep depression and anxiety during the comedown. Irritability, hostility and aggression: Ice use leads to psychosis in some users, resulting in vivid hallucinations and paranoid delusions that can cause people to lash out. If you suspect that you or someone you know is dependent on ice, it is critical to seek professional treatment as soon as possible. The Cabin Sydney has a world-class treatment centre where experienced staff specialising in ice addiction can talk with you about how best to help you reclaim a healthy, stable life free from ice. Our specialised outpatient programme offers an innovative treatment plan that helps you beat your methamphetamine dependency while maintaining work and family commitments. With a 96% completion rate, our effective “Recovery Zones” method focuses on tackling addiction in a comprehensive manner to guide you to a successful recovery. An experienced team of specialists will work with you to identify triggers and root causes of your addiction, coaching you through every stage of the recovery process. For those who would prefer a more intensive treatment programme away from potential triggers, The Cabin Chiang Mai offers an internationally recognised residential rehab facility where you can focus solely on your recovery. There is no reason to wait to confront your ice dependency. Call The Cabin Sydney to learn more about how we can help you start healing today.